Nature’s solutions are informing designers, architects, & scientists. Nature presents elegant solutions to many of the challenges that designers and innovators face every day. Using the study of nature’s designs and mimicking some of them can help make our own designs more efficient. This study is called Biomimicry. You can find out how architects and designers have used Biomimicry at AskNature.org. It is exciting to explore how nature has designed effective strategies to save resources and to thrive sustainably. If you have an innovation challenge, you can begin to emulate the time-tested forms, processes, and systems that have evolved over millions of years to survive and to stay in balance with earth’s complex systems. Redwood trees in Marin’s coastal forests increase water yield by condensing water from fog onto their needles, a process known as “fog drip.” How can this inform how we use and distribute water in our buildings? Dr Todd Dawson shows how the fog along California coast is crucial to the well-being of redwood forests and may account for why redwoods are the tallest trees on Earth. He says the ability of a redwood to capture water suspended in fog provides an immense amount of water to both the trees and to the ground around them. 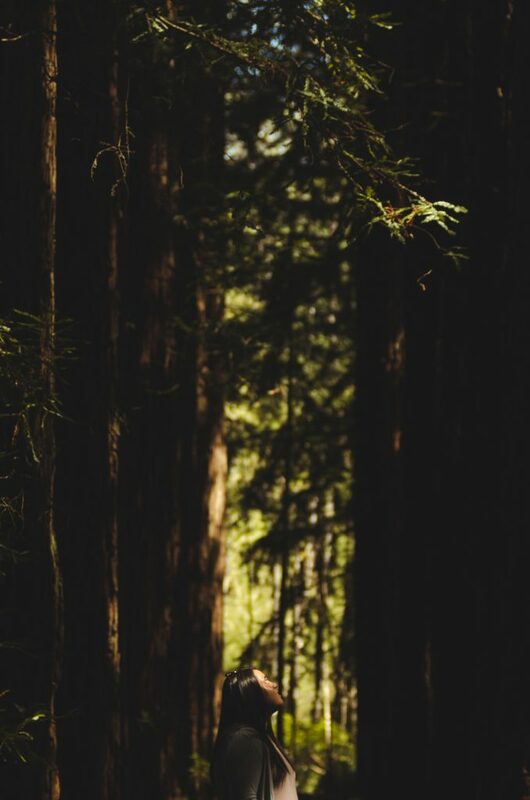 The resulting moist environment reduces the rate at which water must move up through the redwoods, thereby reducing the water demands that keep other plants from growing to such heights.